Fast paced, challenging classes for advanced students competent in contemporary or ballet. Emphasis is on building movement sequences, stretching your facility and versatility. Matt’s approach to floor work investigates the mechanical processes within the body, with the aim of finding smooth transitions to and from the floor. These engaging sessions will also focus on developing individuals’ various approach to moving and performing confidently. All phrases and exercises delivered have a variety of alternate moves for different levels and individuals movement styles. Matt began his professional training at the Scottish School of Contemporary Dance. After graduating with a 2:1 Matt joined EDge 11. After graduating Matt has worked internationally with Jorge Crecis, John Ross, Nathan Johnston, Caroline Bowditch, Dam Van Huynh and Nuno Silva. 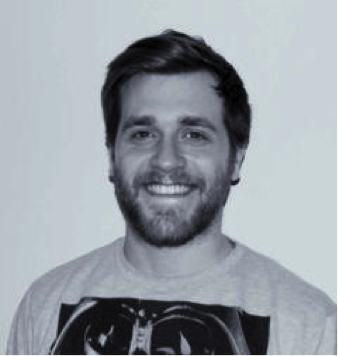 Matt has a keen interest in teaching and has worked for London Contemporary Dance School, The Scottish School of Contemporary Dance, Highbury and Islington College, Central School of Ballet and Birkbeck University. He has also worked for three years as the Floorwork lecturer for Birkbeck University. In 2013, Matt co founded HAL, a contemporary dance company with Thom Hands. They have choreographed for Greenwich Dance’s “Divercity” young choreographers showcase as well as London Contemporary Dance School students.